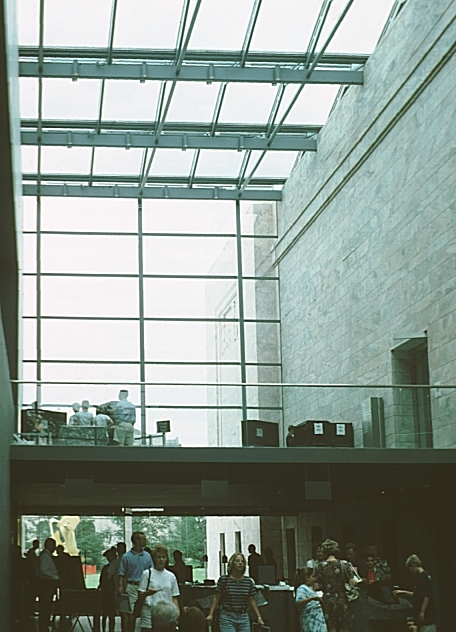 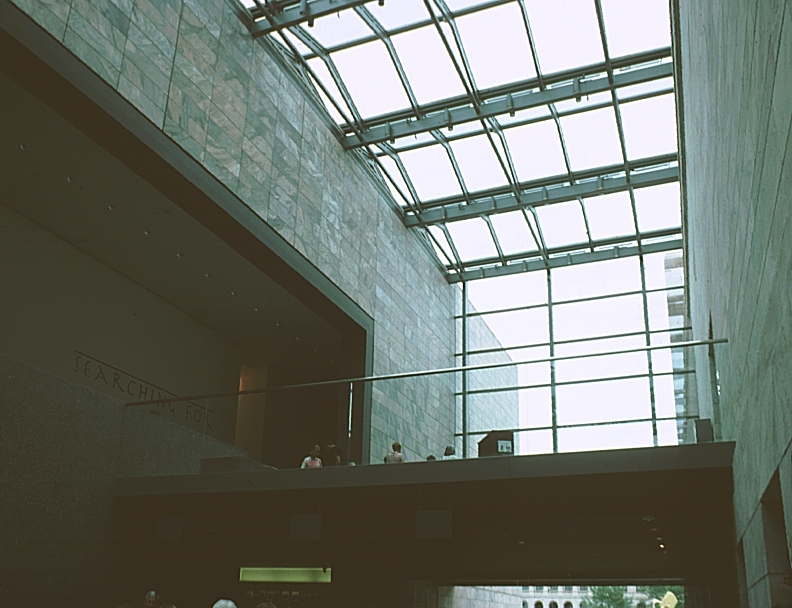 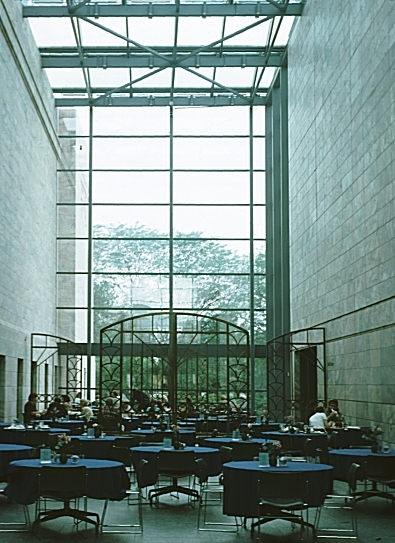 Images of Addition, Joslyn Art Museum, by Sir Norman Foster. 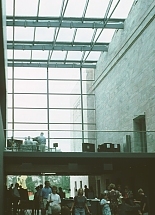 The light-filled atrium provides a transparent link between the old building and new addition. 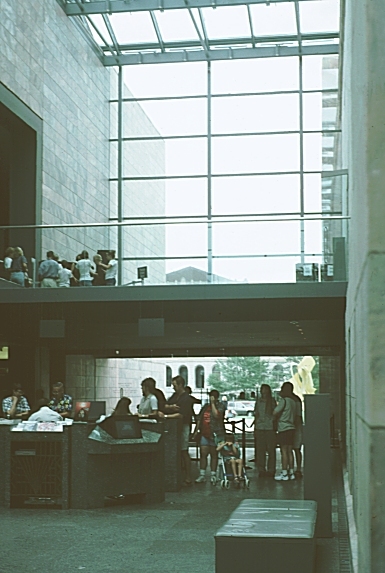 On the second floor, at the east end, a bridge connects the buildings. 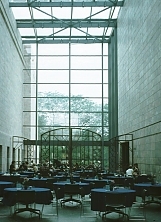 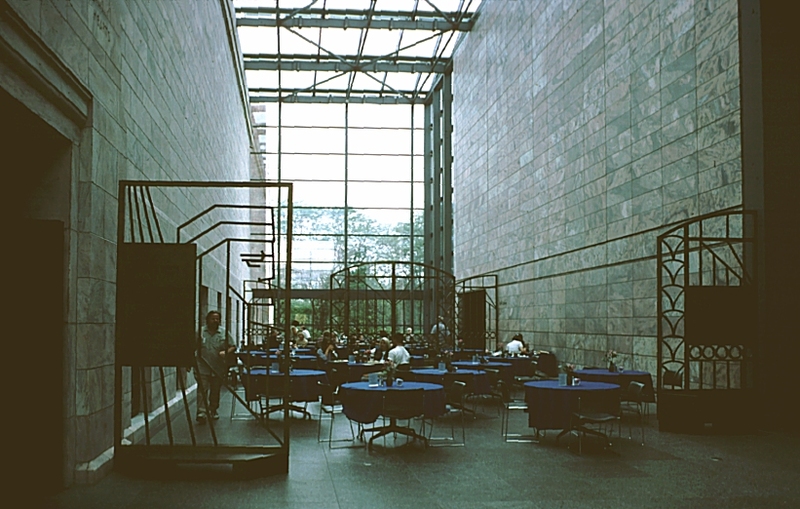 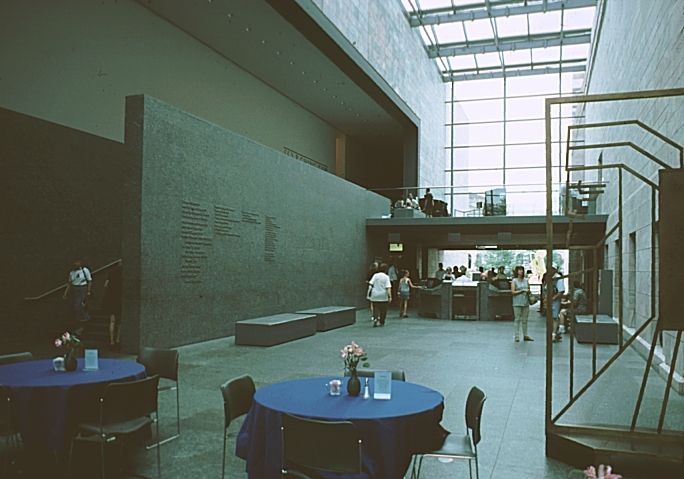 The ground floor atrium acts as a social space (with a cafe at one end) and an entrance to the museum. 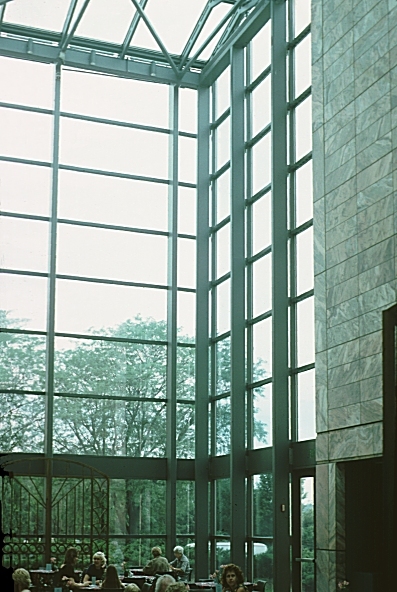 A monumental stone staircase provides access to the upper floors of the new addition. 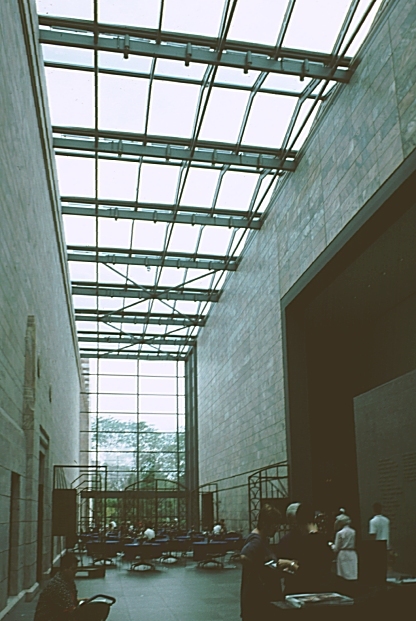 Click here to return to the exterior views of the Joslyn Addition.